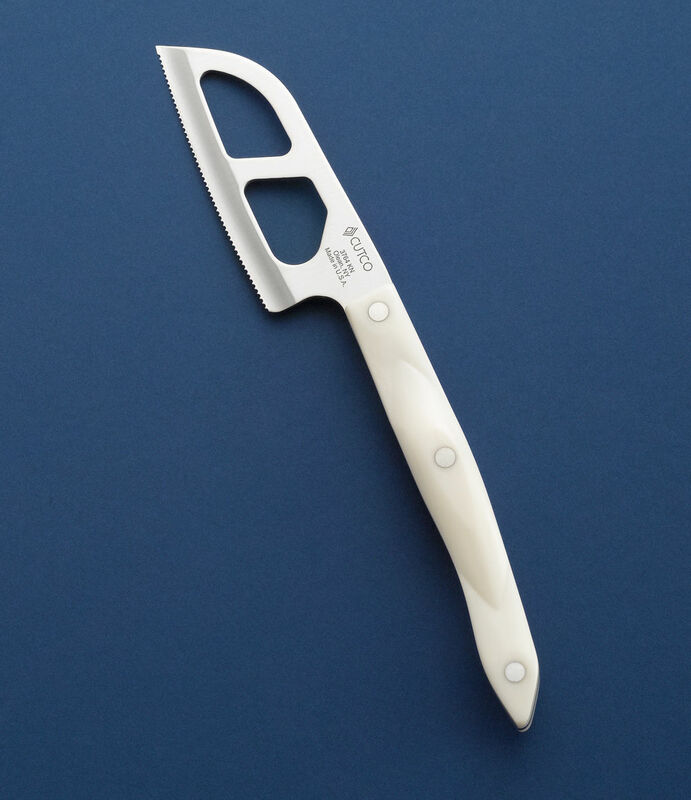 This knife is designed for cutting small blocks of hard to soft cheeses. 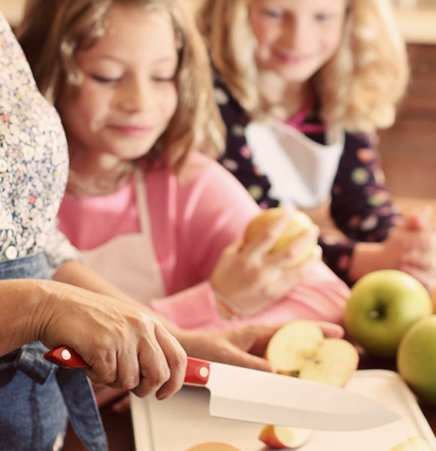 Perforations keep dense foods from sticking. 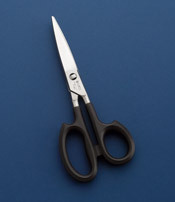 Use tip to cut cheese packaging. A must-have for anyone who likes to entertain. Makes the perfect hostess gift. 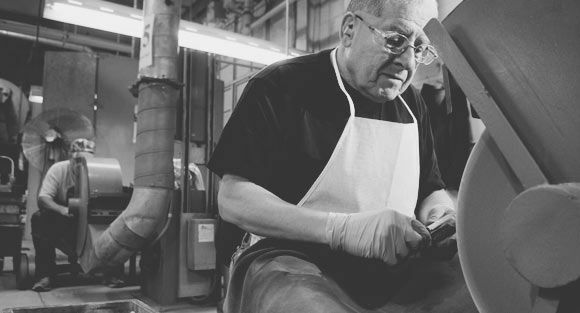 3-3/4" Micro Double-D®-edge blade. 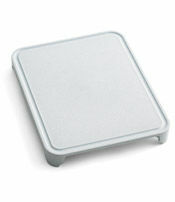 Micro-D edge glides through all kinds of cheese and the blade perforations prevent sticking. 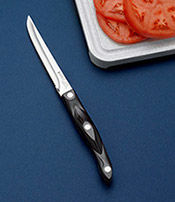 The Santoku-Style Cheese Knife is a smaller version of Cutco's Traditional Cheese Knife. 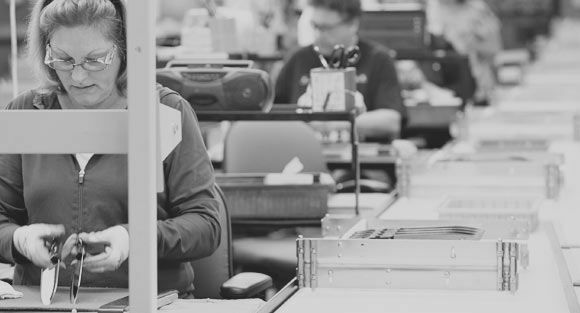 Micro-D® edge glides through all kinds of cheese and the blade perforations prevent sticking. Its dropped point is ideal for opening packages of cheese and works well for breaking off chunks of harder cheese like Parmesan. 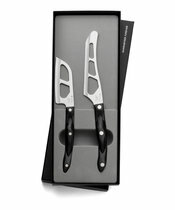 Perfect for setting out on a plate or cutting board to allow guests to slice cheese to the size of their liking. 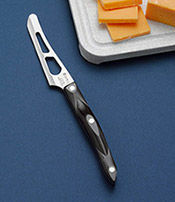 Like all Cutco products, the Santoku-Style Cheese Knife is guaranteed forever. 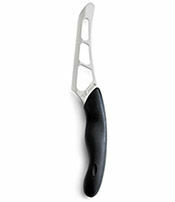 My Santoku cheese knife is absolutely amazing! 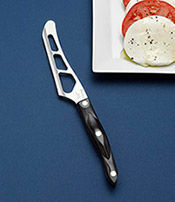 It cuts right through any type of cheese smoothly and without any effort. Prior to this knife, nothing worked and the cheese would always get mangled or crumble. 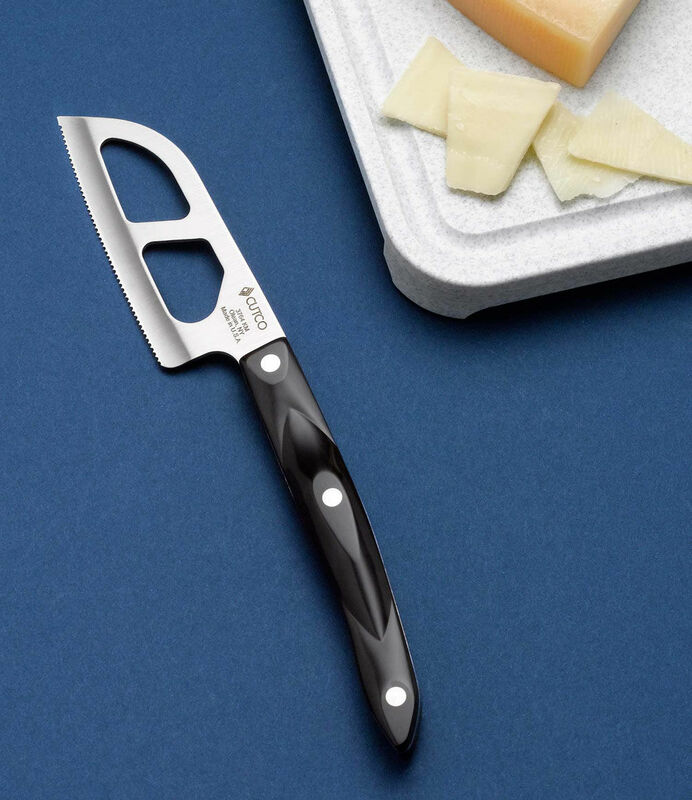 It is also a very well balanced knife and because of the length of the blade, it cuts larger pieces of cheese just as well as the small ones. 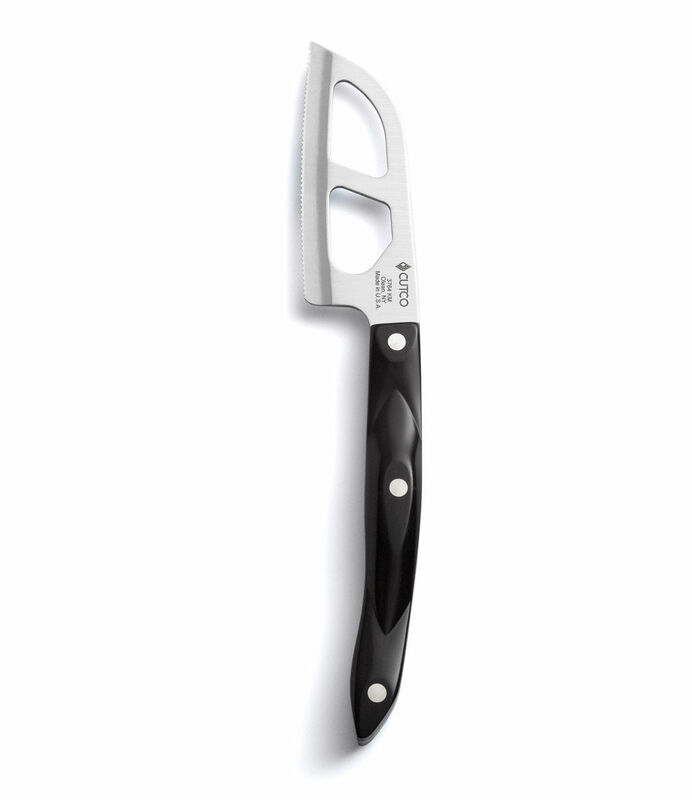 My Cutco Santoku cheese knife is the only one I will use from now on!